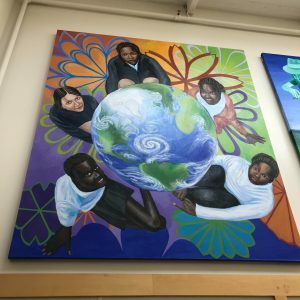 On October 15, 2018, we visited Harriet Tubman Middle School while on our North Portland Scavenger Hunt. My group and I got the chance to talk to one of the assistant principals and the curriculum instructor of the school. They both explained that they were very aware of how diverse the schools student population is and how they try to uphold the integrity of that population. They also talked about the lack of diversity of the teachers. White teachers in a predominately black school could raised a lot of red flags, and in fact it did. Both the administrators told us about their experience of frustrated teachers not knowing how to “handle ” their students. The curriculum instructor told her point of view that some teachers choose to not go to her concerning the curriculum and feel more comfortable telling the white assistant principal. I once again was disappointed, yet not surprised. It got to the point where the assistant principal had to ask one of his teachers, “What would you do if this student was white?”. I was surprised at the blunt question, but then again not surprised. He then added that he too, was guilty of sub-conscience discrimination within the classroom when he told his students to put their hands up in order for them to stop touching a laptop, which to some people, simulated a prison environment and the long lasting tensions police brutality in the black community when they are are told to surrender by putting their hands up. I was very disappointed, yet once again not surprised. They went on to talk about the reasons why they love their job. The curriculum instructor told us about a student who she did not realize that she knew since they were in infant and actually got the the chance to see them grow up right in front of her eyes. This surprised me. The fact that she emotionally connected to her student outside of the school signified to me the strong bond people build within a community. Overall, this experience of talking to the school admin as an adult made me realize that it was not just me thinking that I was being punished harsher than other kids or that it was me thinking that I was “smart for a black girl”. After our conversation, we were able to explore the school where there were preteens play fighting in the cafeteria and I realized that this was me not to long ago. In that middle school, I was overwhelmed with nostalgia as a middle schooler who was insecure and had bad experiences with teachers, but now I have more knowledge, more wisdom, and a much deeper understanding of what went down in my day. I saw myself in every black girl I passed by in those hallways and I have reached a point in my life that I go back to where I started or what I like to call a full circle. 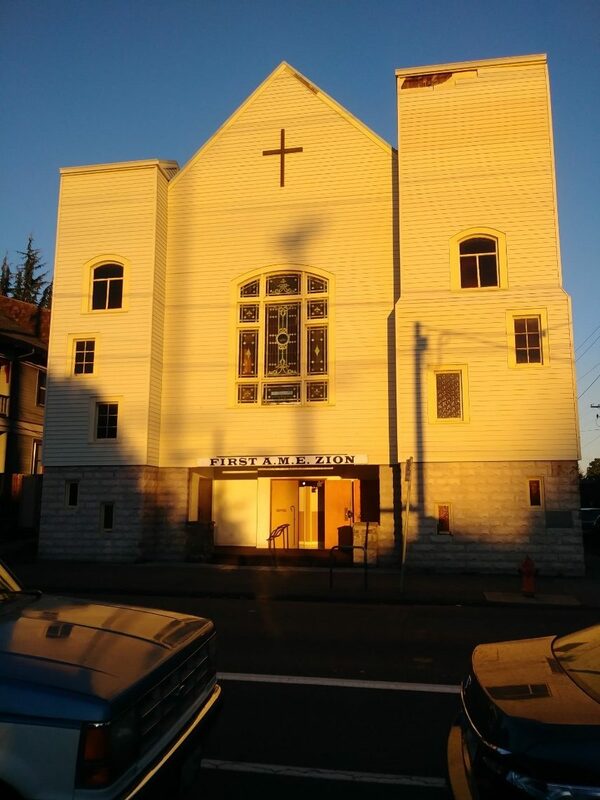 Isn’t this a beautiful image of First African Methodist Episcopal (FAME) Zion Church in Portland? We think so! We’re grateful for the generous hospitality of the FAME Zion congregation who is hosting us for our inaugural North Portland Immersion. 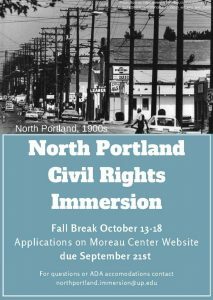 We will explore the history and current realities of gentrification, the housing crisis, inequity in representation and education, especially as it adversely and disproportionately affected/affects African Americans and other minorities. Journey with us here and on our Facebook Page as we undercover our past, encounter our present, and envision how together we can create a just and equitable future. Click the poster below for more information & to apply!